Or, as I was tempted to title this post “how not to bug the crap out of anyone wanting to follow you or repin your items,” but I thought that was a bit harsh and probably just stems from my hormonal mood swings. 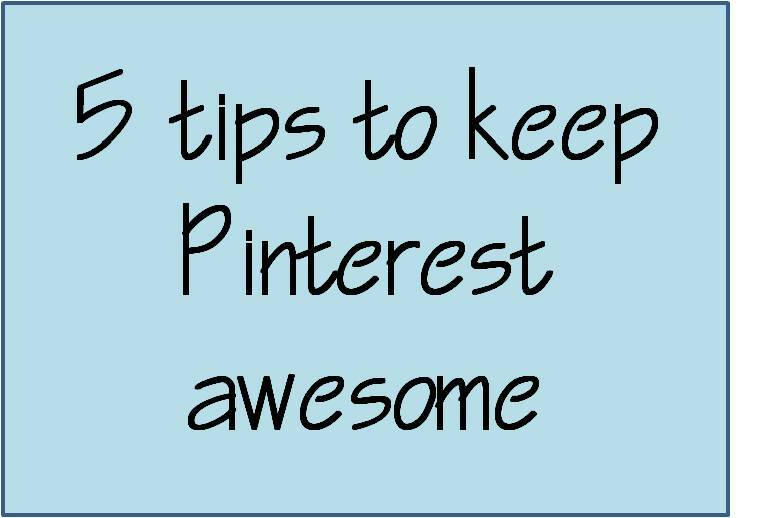 I love Pinterest and like many fans, I admit to spending way to much time on there. For those who don’t know what this site is, it’s kind of a virtual bulletin board/inspiration board where lots and lots of people come together and just post anything they may like – ideas, projects, recipes, colors, etc. As I’ve heard it said before, it’s a place to wish for things you will never have and plan for things you will never do. I’m not a perfect Pinterest user, nor an expert, but there are a few things I attempt to try and do. And sometimes when you first start, it is hard to know exactly what to do. 1. Clip images from the correct source: This is my biggest pet peeve on Pinterest. I once spent an hour scouring over a blog completely in French to find the exact blog post someone pinned an item from (I can’t even remember what it was). If you are going to pin something, do it from the original blog post, not from the blog itself. If you have been looking at a blog from start to finish and find something you want to pin, click on the blog post and pin from there. You will save people the trouble of having to look at the blog from start to finish as well. Same goes for Google Reader – don’t pin from there because anyone following the pin will just be taken to a blank Google Reader page. 2. Feel free NOT to pin every. single. item. from one source: My mom is the worst at this; we all love the “Hey Girl” Ryan for craftsters, but there’s not a need to post 20 of them a day. 4. Make sure the pin captions are relevant and accurate: If you repin an item, make sure the caption is correct. If there is no recipe for the pin, don’t have the caption “easy breakfast recipe.” If you repin an item that says something personal, like “I have this skirt in 3 colors!” make sure you actually have the skirt in 3 colors. Sometimes people will ask for opinions and details on items they think you know about. If the personal caption doesn’t apply to you, then change it! This seems like a no brainer, but I see it time and time again. 5. Repinning is awesome, but make sure to add some new material to the bunch as well: You ever see the same pin over and over again? Nothing is necessarily wrong with that, but it’s important people add original pins and new material or Pinterest could become stagnant. In order to avoid over-repinning, I usually “like” more than I repin (which unfortunately has me with over 1500 pins that I have liked). Anyone else have any tips for using Pinterest?